Revolution managers have experience of working within the strictest HACCP environments and receive regular training and refresher courses to keep them up to speed on the latest legislation and techniques. Our in-house trainer is qualified to Food Hygiene Level 3. 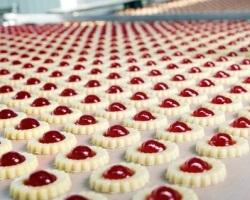 By using the latest technology, Revolution can ensure that food integrity is assured. We are able to provide ATP testing, HACCP analysis and cryogenic cleaning solutions – we have access to the country’s leading food hygiene consultants too. Nothing is left to chance. In our quest for continuous improvement, we analyse all our systems and processes so that you have the safest and most economical cleaning system in place. Our food experts are able to provide you with an overview of your current systems that is based on Environmental Health Department regulations. We are able to advise on improvements and enhancements so that when you receive a visit from an inspector, you have a robust policy in place. Whether you run a hectic restaurant or a sophisticated production line, Revolution can help you defend your reputation. Call Revolution Support Services today to discuss your catering cleaning requirements.